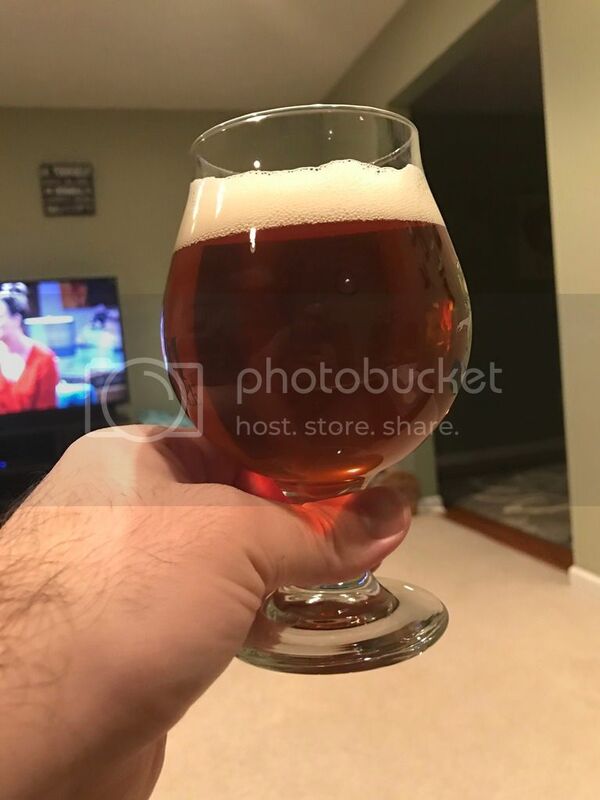 Re: Pics of recent brews? If you ever find your home burgled and that glass is the only thing missing, I will say right now that I will have an alibi. Where did you get that? I need that in my life. Looks like a Libby glass. If so, they have them at just about every department store. 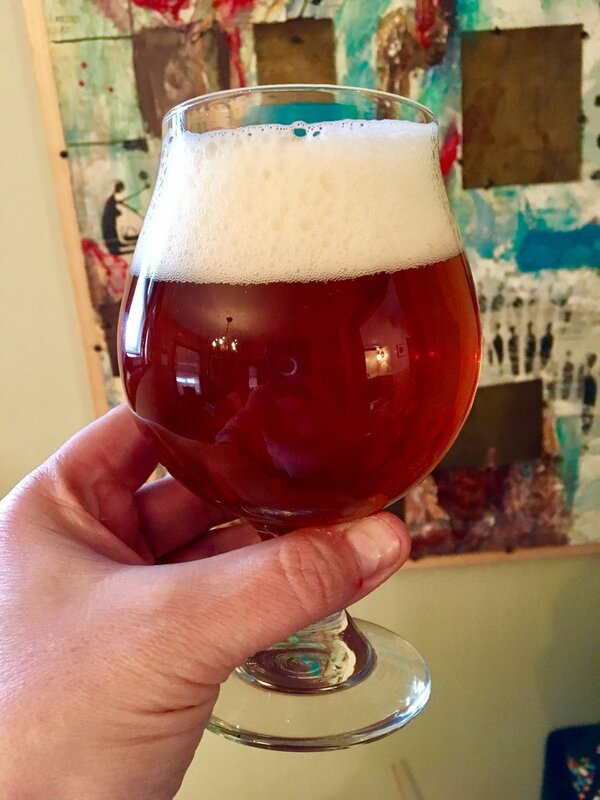 I have not had a barleywine is a long time. It might be about time to have one again. When's SN Bigfoot come out? That used to always be my go-to. Be nice to be drinking beer today, but I like to take a day off a week, and Sunday is that day usually. 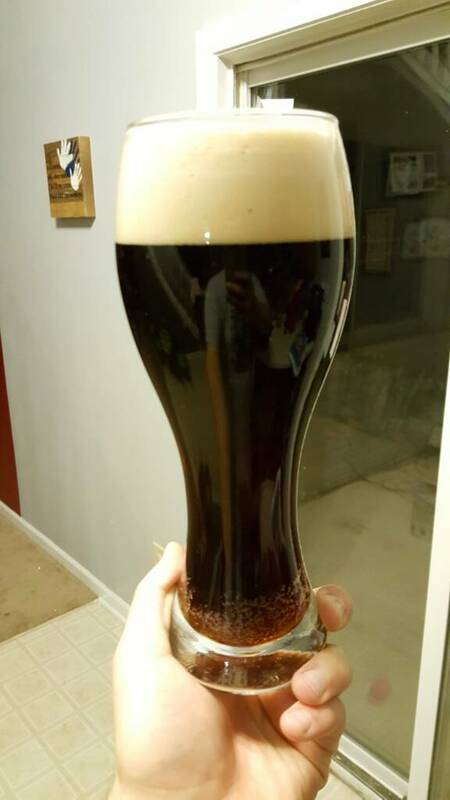 That is a great looking beer. 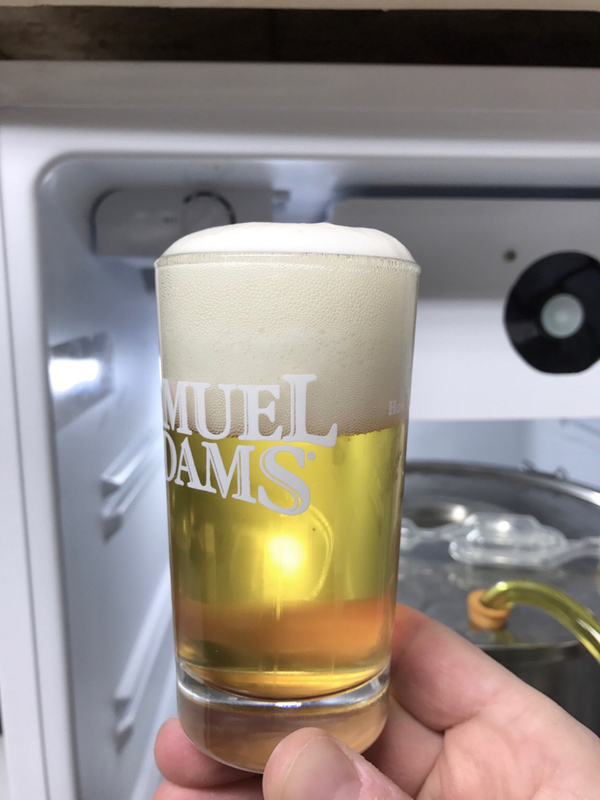 Nice foam considering the abv. I make a 3-5 gallon batch every year in December. I like to do a vertical tasting with friends this time of year some dating back 7 years. My oldest right now is a 2012. These beers are meant for sharing or one and done. 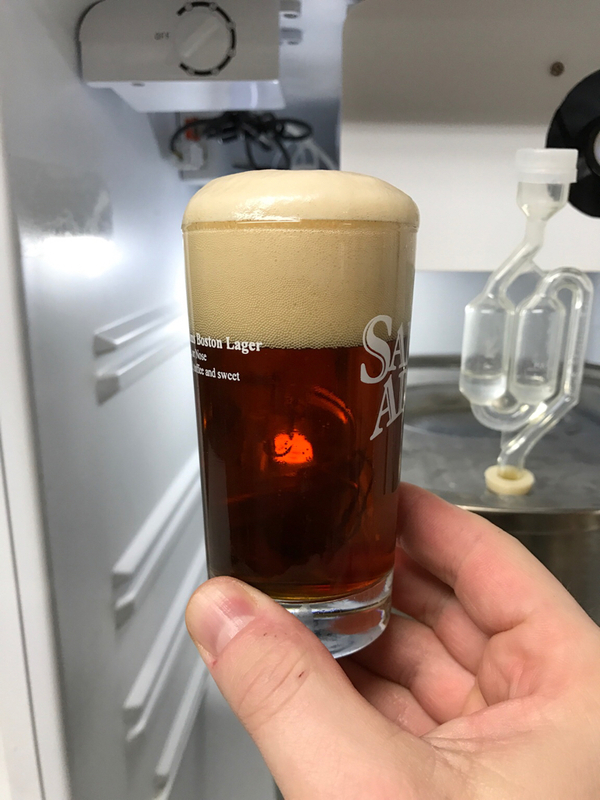 Moved some beers from Lagering to serving tonight. Those all look awesome, man. My latest APA. I'm really digging this beer. New malt bill of 75% two row, 20% Munich, and 5% C60. I think this will be my new APA bill in order to differentiate a bit more from my IPA bill. 3:1:1 Cascade:Citra:Amarillo at FWH, Whirlpool, and dry hop. Killer combo. 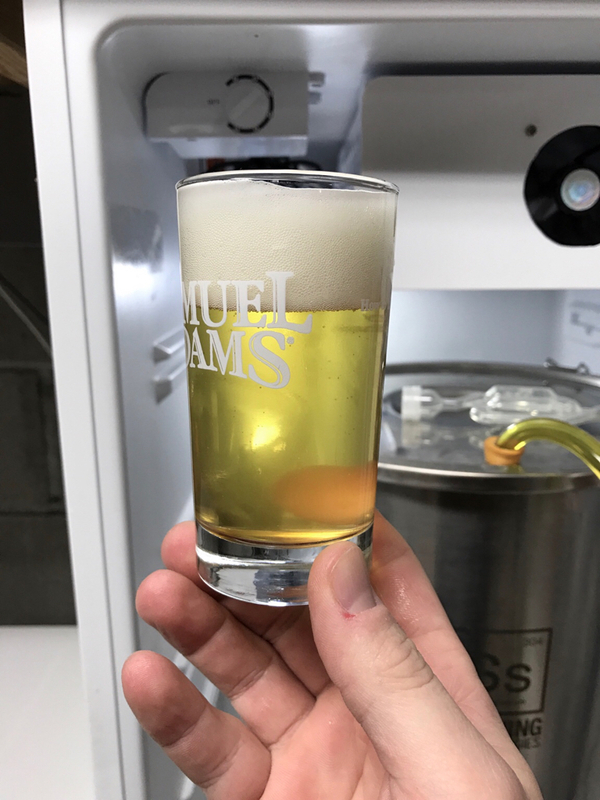 This beer has cleared much faster than another beer that I've ever kegged. The only fining I used was whirlfloc. The secret might have been discovered by accident. 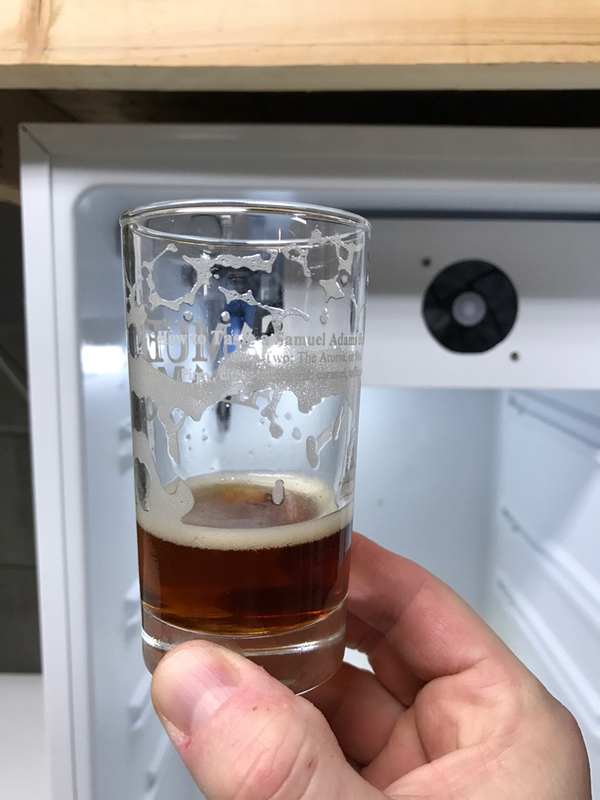 I accidentally froze all of my kegs in my keezer solid by accidentally leaving the temp controller probe out of the keezer. 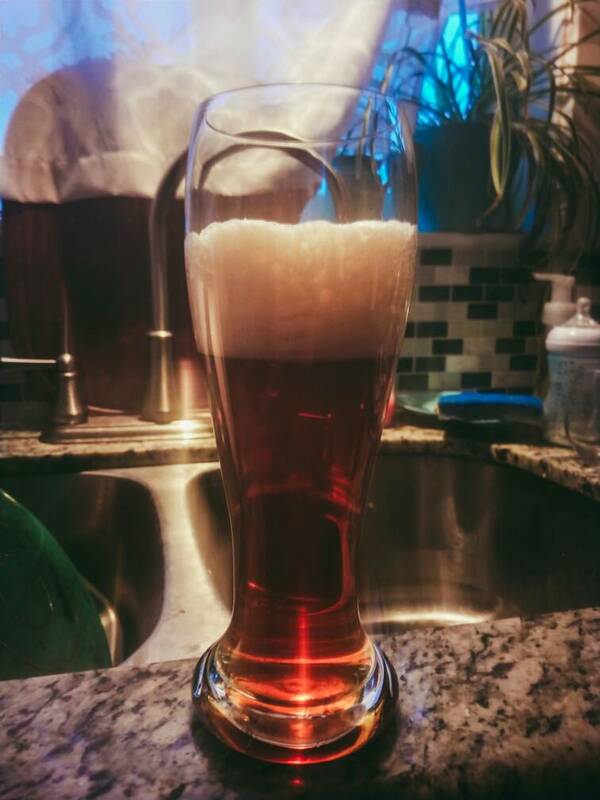 It Screwed with the carbonation a bit, but was easily corrected. 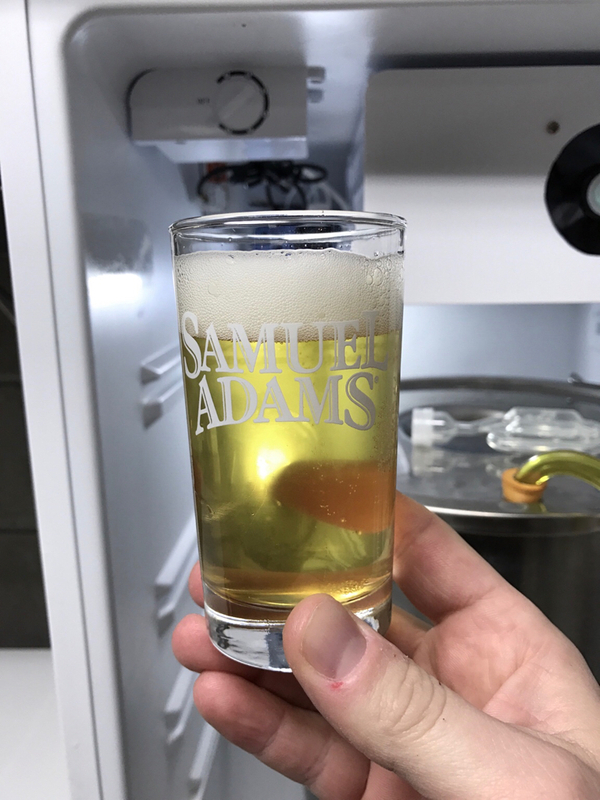 The beer was this clear about 3 days after tapping. It might end up Being my new practice except I'll do it before carbing. 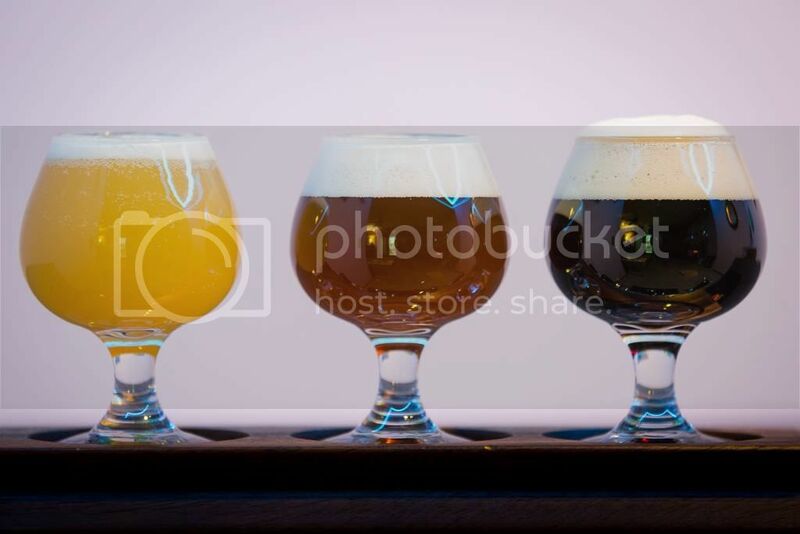 A flight of three of my most recent beers on draft... Only one missing is my RIS not shown! L to R: NE Pale, Bitter and Schwarzbier.